Apple today has confirmed in a new press release that Mac App Store will be opening on Thursday, January 6. According to Apple, the store will be available in 90 countries with both paid and free apps. Below is the full press release from Apple. CUPERTINO, California—December 16, 2010—Apple® today announced that the Mac® App Store℠ will open for business on Thursday, January 6. 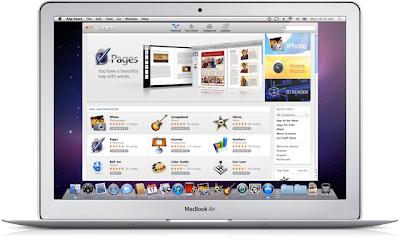 By bringing the revolutionary App Store experience to Mac OS® X, the Mac App Store makes discovering, installing and updating Mac apps easier than ever. The Mac App Store will be available in 90 countries at launch and will feature paid and free apps in categories like Education, Games, Graphics & Design, Lifestyle, Productivity and Utilities. The Mac App Store lets you browse new and noteworthy apps, find out what’s hot, view staff favorites, search categories and read customer ratings and reviews. Like on iPhone®, iPod touch® and iPad™, you can purchase, download and install apps in just one click and start using them immediately. Purchased apps can run on all of your personal Macs and updates are delivered directly through the Mac App Store so it’s easy to keep all of your apps up to date. The Mac App Store is available to Mac OS X Snow Leopard® users as a free download through Software Update.